During the game against Wolves I was speechless and after I couldn’t fit enough words in a tweet to sum up my thoughts on the current situation at West Ham. It’s a sad time to be a West Ham fan… yet again and too lose our first 4 games after so much promise, it’s really gutting. You have to say it’s been a hard set of fixtures (which isn’t getting any easier for a while), a lot of new signings have come in and it’s been a complete U turn in terms of style of play going from Moyes to Pellegrini football BUT no excuses for not tracking back, not running, not pressing and not fighting to win the ball back. It’s Slaven Bilic in his last season all over again! We seem to have a bunch of “big names” not willing to put the hard work in with a lack of confidence, we have good depth but maybe too many options, we lost to Liverpool away (no shame in that) with arguably our best starting XI on paper and the next week we changed formation, multiple players and style of play, Pellegrini was given the tools to build his team in the summer with a virtually fully fit side so he must have believed it was the best team and system so why make so many changes the next week and change formation? He has done it every game hoping something clicks. If he doesn’t know the best system for our team how can the players get behind him? He’s not the most inspiring manager either so goals and results will win players confidence and consistency is key, Pellegrini needs to pick a team and system HE believes in and stick with it for a run of games, players need time to gel together and get used to a style of play. When that first win comes it will breed confidence and respect. I wouldn’t sack Pellegrini yet but if still after 10 games we haven’t improved, not got a pretty good idea of our starting XI, system and/or players confidence we will have no choice. I think we have got a smart experienced manager with some great backroom staff and we have the big name players to turn it round and potentially challenge any team in the premier league with an international break to work on a system, I just hope Pellegrini hasn’t already lost the dressing room because the players did not look like they wanted to play for him against Wolves. Looking towards Everton I am optimistic with international break it’s the perfect time for Pellegrini to find the best possible XI we have. I personally feel we should go back to 3 centre backs, give our very fast attacking full backs freedom to support attack and give us better width letting Anderson and Yarmolenko cut inside and do what they do best. Wilshere and Sanchez I think is probably our best midfield options going forward, bar the mistake at the end I think Sanchez was one of our stand out players against Wolves and certainly against Arsenal. He sits and covers the defence freeing up Wilshere too drive forward and transition defence into attack, he has quick feet and has taken on and beaten quite a few players as well as winning the ball back a number of times. He’s a pit bull and think some criticism is harsh. 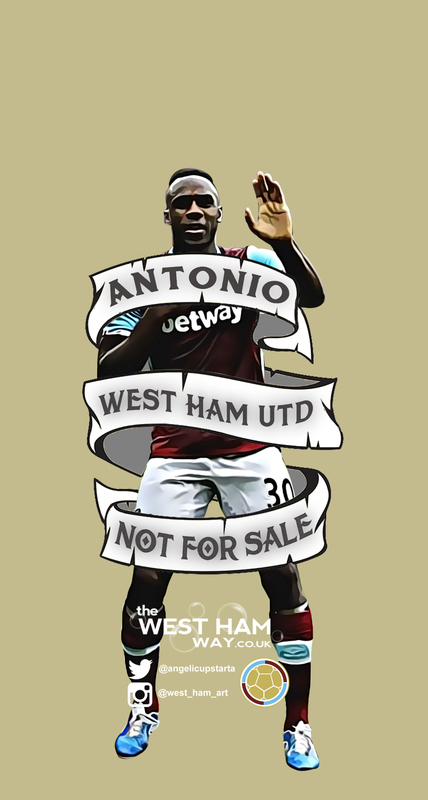 Antonio needs to be dropped, lost so much pace and that has always got him out of trouble, now he looks like a non league player. Sounds harsh but his touch, agility, decision making, laziness and technical ability really poor and have been for a while. Don’t see what Pellegrini sees in him. Diop and Balbuena have been quality recently and perhaps our only stand out performers, need to start but question is Rice or Ogbonna? Og in a 3 at the back has been world class at times, even broke into the Italian squad under Conte (whom although I don’t want to talk about other managers already, feel like he’d do wonders with our squad and currently out of work). Fabianski has been awesome and think we could have conceded much more without him, some of the saves he’s made have been phenomenal, I expected his decision making to be good but his reflexes for a 33 year old are exceptional. Whatever happens and whoever plays we have to get basics right. We have to remember to press, get tight, run, support, cover and stay compact in defence before playing Pellegrini football, certainly need to take our chances! Overall I still think its early days but we really do need to give our heads a shake now. As I always say, fans really need to get behind the lads and not turn at the first sign of danger. Kills confidence and tempo, In the 11th minute against Wolves I was right by the corner flag when we had a throw in. Overall hadn’t been dreadful but Antonio was a bit sloppy, he came over to take a throw in and a small selection of fans getting on their feet start shouting “f*ck off” and “lazy “c*nt” etc just meters away from him. He kept his head down but he could hear, he looked depressed and not bothered after that, would completely kills someone’s confidence. I know it was a minority of fans but it turns the whole place toxic, fans arguing and kills atmosphere. Just need to keep singing, support the players and give them something to play for.